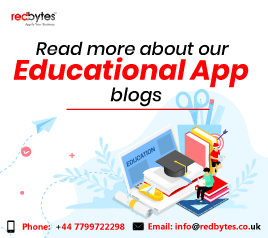 The recent Apple event held on March 25, 2019 might not be as exciting or promising as Apple fanatics might have anticipated, but it did matter a lot to Apple owing to its big future dreams. The past decade has brought lucrative opportunities for Apple, making it a predominantly profitable consumer electronics brand with ludicrously high profit margin and impressive range of iPhone devices. But this is not the story for Apple in recent years since the extremely competitive smartphone markets are saturated to the verge of people not upgrading their devices frequently. To sustain this scenario, Apple has therefore switched to services that Apple hopes will boost its place in the digital market. This post has got your covered with Apple’s latest announcement at Steve Jobs Theatre in California on its new streaming entertainment, news services, Arcade games and TV channels. Apple has announced Apple News service refurbishment, evolving the old news aggregator app into one highly curated, multidiscipline journalism hub now called Apple News+ in the event. The service will cost $9.99/month with unlimited content sources and family sharing. From now, Apple News+ will offer large stack of popular magazines and digital subscriptions that will encompass Vogue, National Geographic, People, Popular Science, The New Yorker, Sports Illustrated, Fortune, and New York Magazine. Apple users will be able to enjoy latest issues of subscribed magazines and newspapers that are downloaded automatically in the background, starting with more than 300 magazines and newspapers like The Wall Street Journal and The Los Angeles Times. A brand new service Apple Card became the second most intriguing announcement at the event. The Apple Card is backed by Goldman Sachs and Mastercard and is, as the company suggests, a different perspective on credit card. It is a credit card which users can get virtually as soon as they sign up in the Wallet app on their iPhone device. The Wallet App is where you can also access balance information and payment details. Apple Card rolls out in US this summer. Apple Card partly intends to discourage physical credit card usage. Apple has facilitated Messages app for Apple Card customer support. Machine learning and Apple Maps used in Apple Card translates vendor transaction data into real, recognizable business names. Several more tools included in the Card further help users track their spending. Apple’s new Daily Cash feature that offers daily cashback makes the experience more rewarding. Cashback money is added to the wallet app automatically with the cash back rate of 2% for all purchases. For purchases made from Apple, the cashback is 3%. Certain tools (real cost calculator and multiple payments per month) in the Wallet app are built to help you with the interest you pay. Fees like late fees and over limit fees are waived from Apple Card. Plus Apple Card users will get a physical titanium card to use the service at locations where Apple Pay is not supported. Apple also announced in the event, its new gaming service called Apple Arcade – which actually is a new way to deliver video games to users. Apple finances and fuels game development studios to build video games exclusively for Apple Arcade. Apple Arcade subscribers will gain unlimited access to entire game library playable on Mac computers, iPhones, iPads and even on Apple TV. More than 100 titles will be launched initially. The App Store will have a new Arcade tab with access to Apple Arcade. No display ads will be allowed nor any in-app purchases in any games. More than 150 countries will be able to avail the service as it will be launched this fall though the pricing is still not declared. The a la carte TV subscription service is now unleashed for Apple TV subscribers who will pay only for the channels they watch. The revamped Apple TV app has on-demand system of Channels from which users can pick the ones they would like to subscribe and pay for. Apple TV will also be a resort for streaming TV services as offered by cable providers and gaming entertainment like PlayStation Vue. From this May on, the new Apple TV app goes live on Apple TV boxes, iPad and iPhone forming an important part of an iOS update. Viewers can also enjoy the service on MacOS available from fall. As for smart TVs (Samsung, Sony and more), Roku devices or Fire TV devices, Apple will make available a separate version. Apart from the mainstream entertainment like movies and TV shows purchased from iTunes, Apple TV app will also give live scores from sporting events. The App also has Up Next” section that contains new episodes of your favorite TV shows as they are out. Furthermore, as Apple has designed the app as a one-stop shop for streaming entertainment, the app will host Hulu and Prime Video content, too. 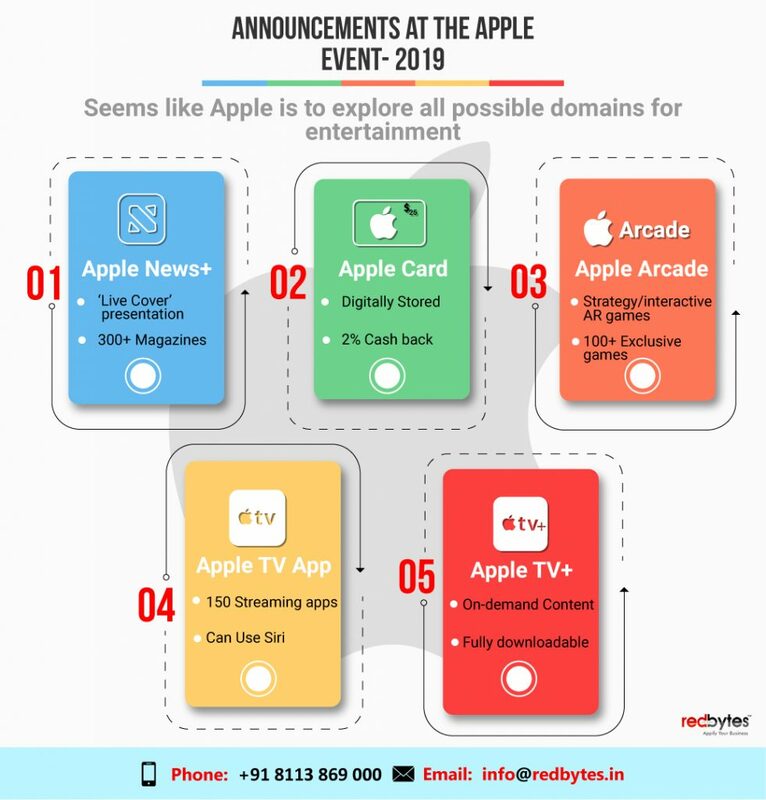 After revealing enough about Apple TV app, the flurry of surprises still continued at the event as Apple announced Apple TV+ Channels, an original programming initiative. With this, the company has invested fortune in hosting a variety of original shows and movies, bringing home the incredible stars. Some of them are ambitious projects in production that involve biggest moguls in Hollywood including the great Steven Spielberg, Bill Murray, Brie Larson, Jennifer Aniston, M. Night Shyamalan, Ron Howard, Reese Witherspoon, Steve Carell, Octavia Spencer and J.J. Abrams to name a few. With Amazing Stories which is an anthology series from the mid 80’s, Steven Spielberg will grace Apple TV+ while Jennifer Aniston, Steve Carell, and Reese Witherspoon have introduced an all-new The Morning Show, a show that explores the inner elements of a fictitious morning new show. Jason Momoa and Alfre Woodard on the other hand will star in See, a brand new, seemingly post-apocalpytic show that captures the world where only a few million blind survivors faced a cataclysmic event. Kumail Nanjiani is bringing a novel series based on true events called Little America, a collection of immigrant stories in the U.S. while J. J. Abrams and Sara Bareilles are together creating a series called Romantic Voice, a show about a young woman stepping into the New York music scene. A new preschool show Helpsters that features characters from Sesame Street is also coming to teach how coding can be used to solve problems. Towards the end of the announcements, Apple presented a slide with list of a dozen personalities who aim to create their shows and movies with Apple TV+. A remarkable TV personality Oprah has also joined the stage to shape two documentaries and a new Book Club interview series. The ad-free subscription service Apple TV+ will be available this fall as Apple states. The pricing is yet to be announced. Apple’s press conference was nonetheless an interesting epiphany since it involved modern, appealing and innovative service-oriented products for loyal Apple fans. Arguably enough, the questions about whether Apple’s partnerships with existing media companies and producers are enough to fit their own original service seem to have been entirely unanswered.